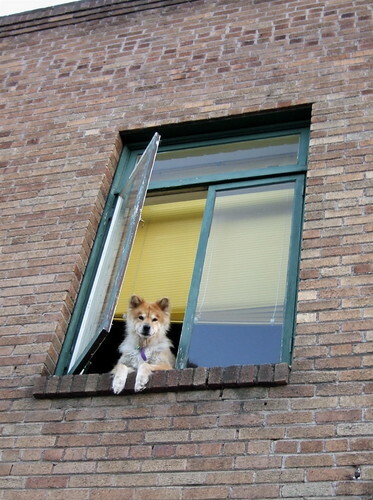 Doggie in the Window, a photo by Living in Monrovia on Flickr. shedding his coat something fierce. Happy 125th! Katz's Deli, Hope you never close! are you shopping online or in person?